We offer a wide range of hotels near San Antonio Spurs from cheap accommodation to up market luxury hotels. Search our database of hotels to find the lowest rate for your stay closest to AT&T Center. 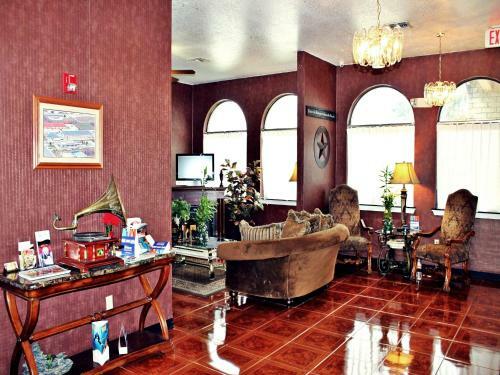 This hotel is a short drive from downtown San Antonio. This hotel features an outdoor pool and offers a microwave and free Wi-Fi in every room. 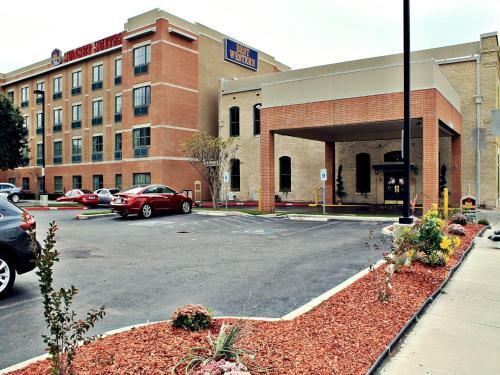 Guest rooms at Super 8 San Antonio at I-10 feature cable TV and air conditioning. Within a 5-minute drive of downtown San Antonio and 7.5 km from the historic Alamo, this hotel offers an outdoor pool and free breakfast. A fitness centre and business facilities are available. Located in downtown San Antonio, Texas, this hotel is a 20-minute walk from Alamo Dome Stadium and The Alamo. 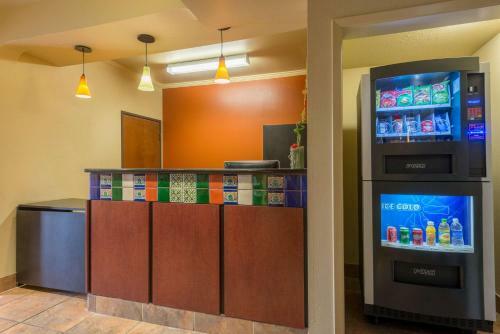 It features a continental breakfast and free Wi-Fi throughout the hotel. This fully non-smoking hotel is less than 1 mile from the Alamo. It features an outdoor pool and rooms include free WiFi and a flat-screen TV. Each room at Red Roof Inn PLUS+ San Antonio Downtown - Riverwalk provides tea and coffee facilities. Located just of Interstate 37 and 10 minutes’ walk from the San Antonio Riverwalk, this hotel features free Wi-Fi. A buffet breakfast is also offered each morning.